Identity fraud remains one of the most prominent cybercrime threats of modern society today. Global research notes that on average businesses loose over US$ 200 billion every year – while consumers loose more than US$ 16 billion due to identity fraud. In South Africa, statistics from the South African Fraud Prevention Service (SAFPS) show that identity theft has increased by 200% over the past several years – and there are no signs of it letting up any time in the future. Adding to the pressure, Cybersecurity Ventures predicts that identity theft, and related fraud, will remain a top cybercrime trend – and that the methods cybercriminals use will continue to become more sophisticated. Pienaar indicates that there are several types of identity fraud that vary in frequency and severity of incidences, including miscellaneous identity theft, credit card fraud, higher rates of employment or tax-related fraud, various types of financial fraud, phone or utilities fraud and even government documents or benefits fraud. “An employee’s stolen data may also be used to commit fraud or other crimes against their employer. Or, in other instances, stolen personal data is increasingly being sold on the online black market – and used to create severe damages, from corruption to money laundering or even used to help hide terrorism activities. These realities therefore make identity fraud one of the most serious concerns and a priority for consumers, businesses and governments worldwide,” says Pienaar. In the war on identity theft and related fraud, the global identity theft protection services market is expected to exceed US$ 21.23 billion by 2026, expanding at a growth rate of 14.2% between 2018 and 2026. “In addition to investment in sophisticated software programmes, algorithms, and even artificial intelligence, protection services should be looking to build biometrics-based verifications into their authentication processes as such solutions offer for more accurate identity verifications and to deliver faster results in real-time,” suggest Pienaar. Biometric technologies and applications use the unique physiological and behavioural attributes of a living person to confirm their identity. Currently, unimodal, automated fingerprint identification systems (AFIS) form the basis of most biometric solutions today. However, due to mounting pressures to address the growing identity theft crisis, the industry is increasingly moving to more integrated multimodal biometric solutions. To this end, biometric solutions are set to go mainstream, given it is the foundation to managing identity authentication and digital security. In fact, an IBM Security Report* found that while 67% of respondents said they are comfortable using biometric authentication today, 87% say they’ll be comfortable with it in the future. “In today’s fast paced lifestyle knowing who you are dealing with is critical to managing personal, business and even societal risks on a macro level. 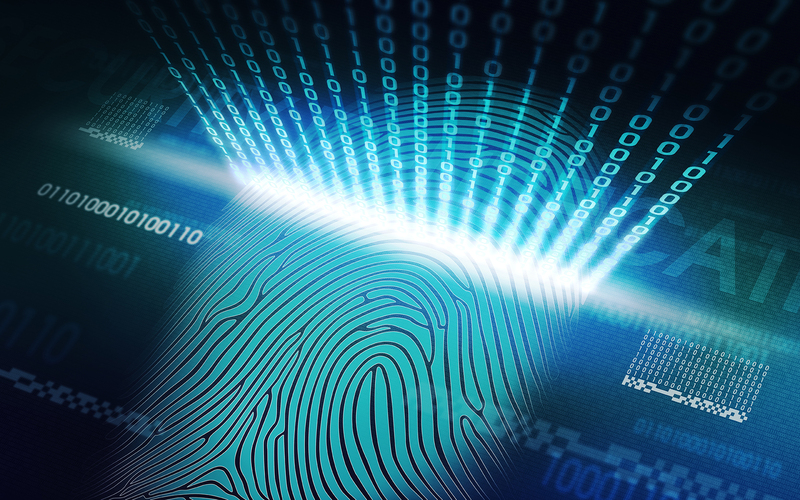 Advanced biometrics solutions can offer confidence in the ability of any system, programme or application to verify an individual’s identity – even in this digital age of fake personas and cybercriminals. Because of this, we can expect these solutions to become more mainstream and used as a line of defence in the war on identity fraud,” concludes Pienaar.